When you take up a sport such as rafting, which does have the potential to be dangerous, it is important to know what equipment you should have and how it all works. 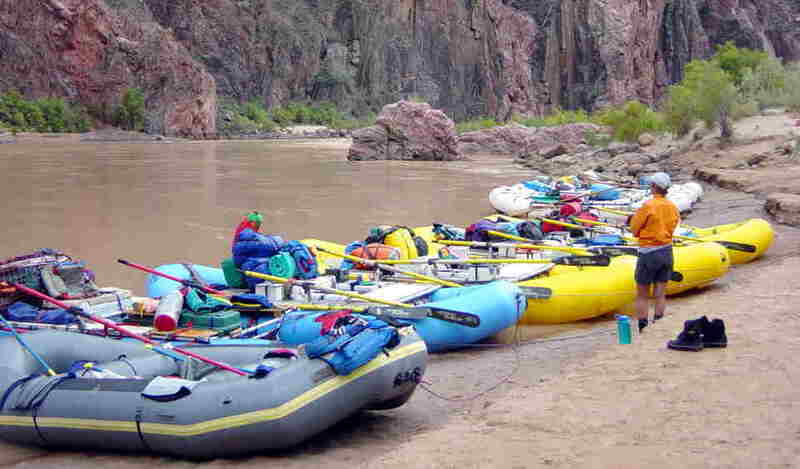 The main piece of equipment that you need is the rafting boat. These are inflatable and in recent years they have become very strong and resilient. The older types of boats could easily tear and damage during racing, making the sport a lot more dangerous than it needed to be. New technology has been developed which means that the rafts are stronger and much better for taking part in races. The raft should have carbon paddles too. Next up is the life jacket. This is essential and you should not set off if you are not wearing it. This will help to keep you safe during the races and as they come in all sizes, so everybody can take part. It is important to make sure that it is fitted properly otherwise it will be difficult for the upper part of the body to float in the water. Head injuries can be a problem if there is an accident during a race and for this reason rafters should wear a well-fitting helmet at all times. When rafting in cold water a wet suit is also an essential piece of equipment. This will provide you with thermal insulation to help you to ward off the cold. There is also a dry suit that can be worn when you are in the water, again providing thermal insulation although it does not cover the head or the hands. Finally, there is the rescue equipment needed in case you fall into the water. A Rescue Throw Bag is a rope that is attached to the bag at one end and the other end is held by the rescuer.